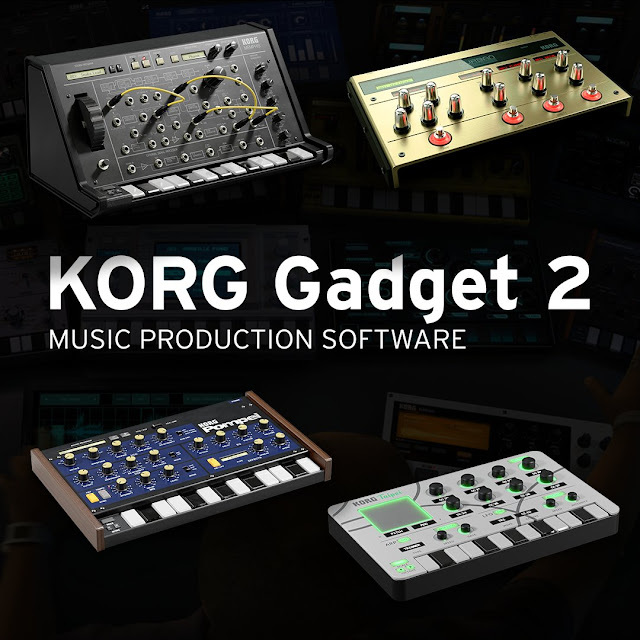 Teaser: "With long-awaited Windows plugin compatibility, KORG Gadget 2 becomes the superior all in one music production software!" Others faded in the background. You can find the current list of Gadgets here. "KORG Gadget is music production software that provides you with more than 30 unique synthesizers and drum machines called “gadgets”, and lets you combine them however you wish working through an intuitive user interface. There’s the multiple-award-winning iOS version, the powerful Mac version, and now the long-awaited plugin collection with Windows support. You can now use our many ready-to-go presets and sounds and our powerful and all-encompassing gadgets with carefully selected parameters - ALL in your favorite DAW on both Mac and PC. - All gadgets will be available as Mac/PC plugins. - All ready-to-go presets and sounds will be included. *1 The IOS version is available as a free version upgrade. The added gadgets will be available as in-app purchases. *2 The Mac version is available as a paid version upgrade. The new gadgets and Gadget Plugins will be included. *3 The standalone version is not included. Only the Mac/PC plugins are included in this package."